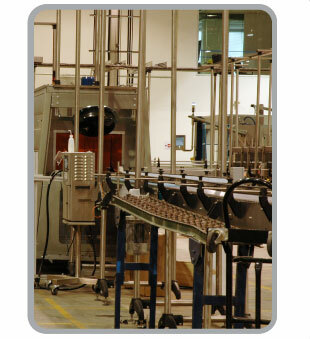 Assembly line equipment and plant machinery is like your vehicle. With regular maintenance, it will run longer and more efficiently. To help you avoid a production emergency or expensive repair costs, we provide regular maintenance services. Instead of hiring full-time maintenance staff, you can rely on us to keep your equipment operating smoothly and efficiently. Why should you invest in a preventive maintenance plan for your machinery? Because it saves money! Replacing a bearing is inexpensive. But replacing a shaft because the bearing wasn't replaced is much more expensive. Our preventive maintenance plans guide you through what repairs are needed, when to schedule them, and why we recommend them. When you follow our customized plan, we can virtually guarantee you won't call us for emergency repairs. As experienced millwrights, we do our darnedest to eliminate emergencies on your production floor. But, because stuff happens, we are only one call away. In fact, we'll arrive within two hours, ready to restore your equipment to full production capacity. Thanks to our reputation with three local machine shops and their commitment to prioritize our clients, we resolve your emergency as quickly as possible. "Ewan and his team have shown reliable dedication and fast action over the years to keep our printing business running at its fullest potential. They've also installed newer equipment that has increased our plant's performance. We commend EAL Millwright for their professionalism, machinery knowledge and dedication to their clients."